Home - Fran's Chip Shop, 83 Aberfoyle Rd. #5, Kingston, Ont. 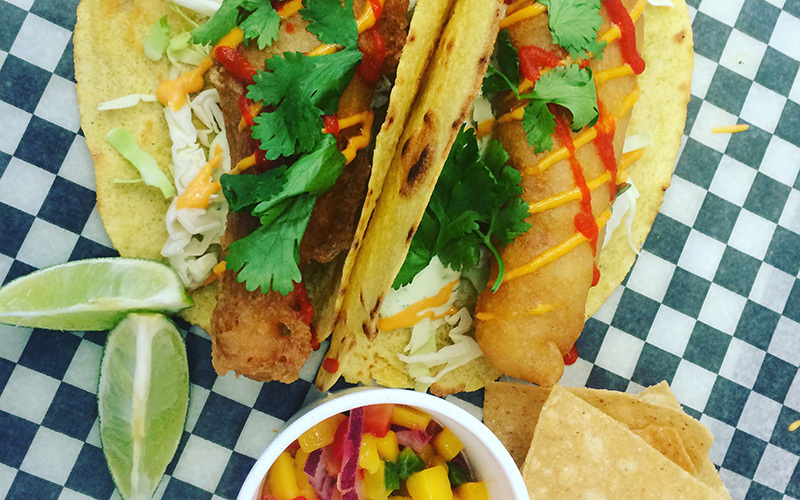 Seafood: Fresh and fried to perfection, enjoy our seafood menu today! Burger & Sandwiches:Check out our deliciously mouth-watering burgers and sandwiches! 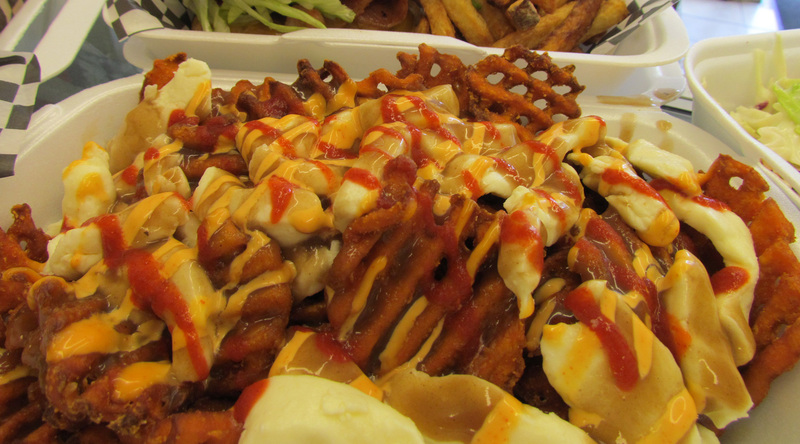 Everything Else: From poutine to battered mushrooms, Fran’s has you covered. Combo:Combine some of Fran’s favorites for the perfect family meal. Order Online:Looking for quick and easy delivery? Order online now! 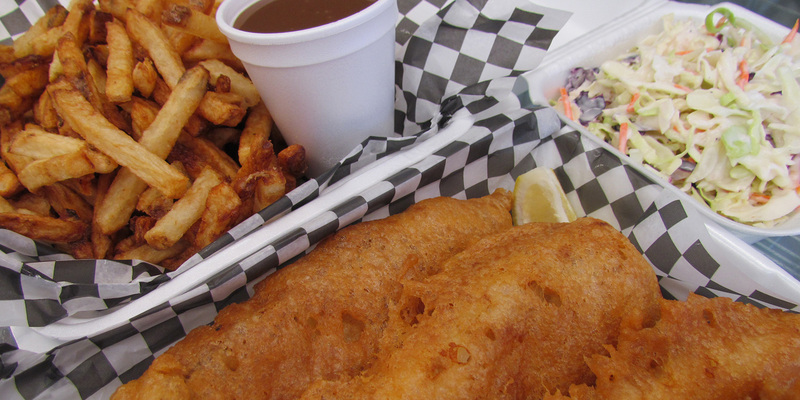 Lightly hand-battered fish filets served with fresh, hand-cut chips and homemade tartar sauce. 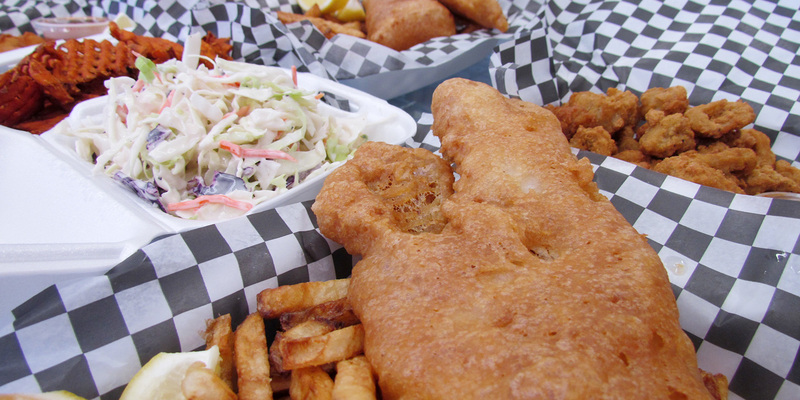 3-ounce British Columbia halibut filets served with chips & tartar sauce. 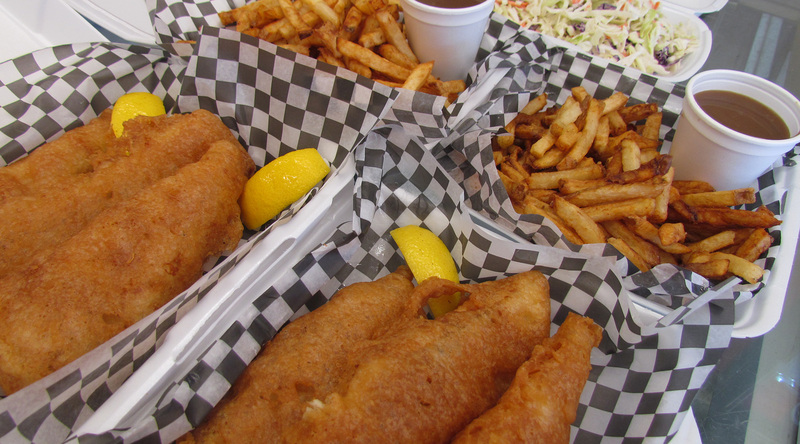 6-ounce New Zealand cod filets served with chips & tartar sauce. 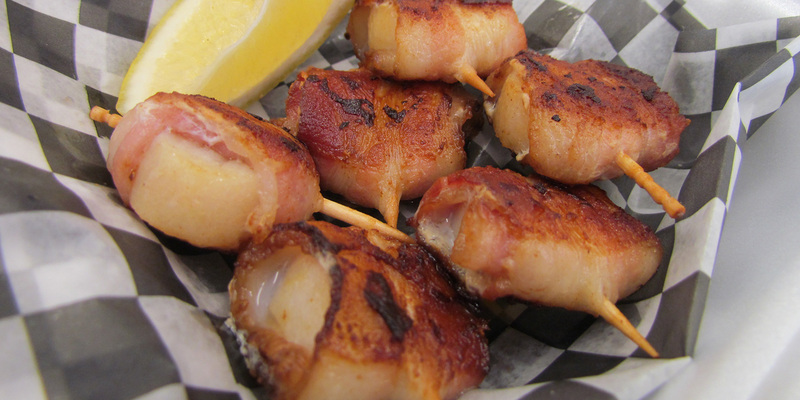 Six grilled bacon-wrapped scallops. Our sustainable scallops are brought in fresh from British Columbia. A local and fresh 4-ounce beef burger topped with cheddar cheese and two strips of Quebec bacon, with your choice of condiments. Served with fresh, hand-cut chips. Satisfy your cravings with double beef, double Quebec bacon, and double cheese! Mouth-watering and juicy with your choice of condiments. Served with fresh, hand-cut chips. A crispy, hand-breaded chicken breast fried to perfection and topped with freshly shredded lettuce, tomato, and mayo. Served with fresh, hand-cut chips. 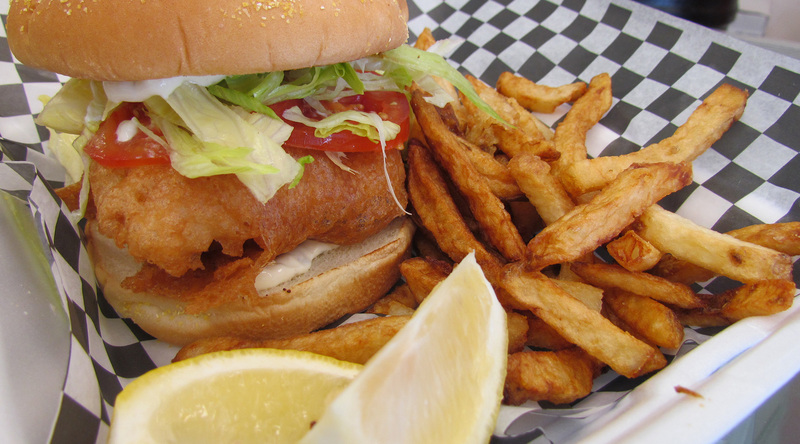 A lightly, hand-breaded halibut filet topped with homemade tartar sauce, shredded lettuce, and tomato. Served with fresh, hand-cut chips. 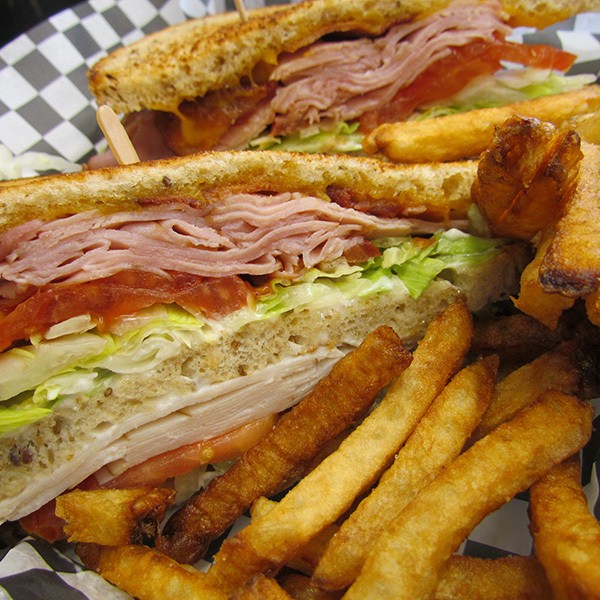 The perfect sandwich combining roasted turkey, ham, Quebec bacon, cheddar cheese, shredded lettuce, tomato, and mayo on three slices of fresh bread. Served with fresh, hand-cut chips. Fresh, hand-cut chips seasoned lightly with salt. Waffle-cut sweet potato fries served with a creamy Sriracha sauce. Fresh, hand-cut fries topped with local Wilton cheese curds and homemade gravy. Waffle-cut sweet potato fries topped with local Wilton cheese curd, and smothered in our homemade gravy, Sriracha, and Sriracha mayo. Sides, salads, and all the fixings! 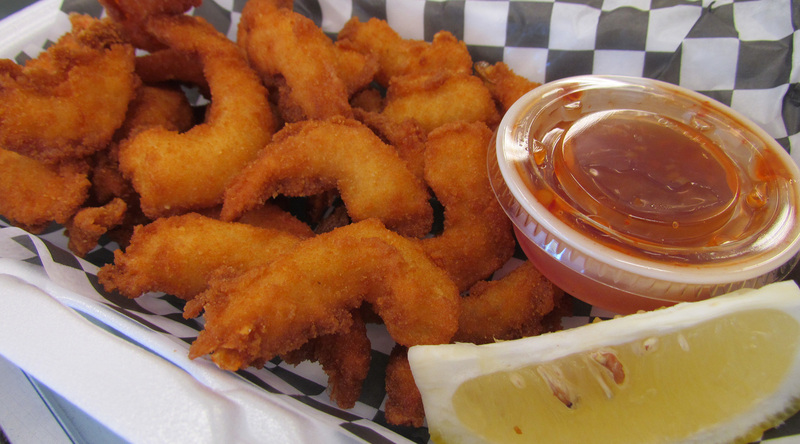 Fried to perfection, served with fresh, hand-cut chips and plum sauce. Hand-battered mushrooms served with a side of sour cream. Crispy, breaded pickle spears served with ranch or creamy Sriracha sauce. Freshly-cut onion, hand-battered and fried to perfection. Homemade, hand-breaded mozzarella sticks served with marinara sauce. Combine Some Of Fran’s Favorites For The Perfect Family MealDelicious combos for you, your friends, and your family! 1 piece of East coast haddock, 10 popcorn shrimp, 5 battered mushrooms, freshly hand-cut chips, coleslaw, and a can of pop. 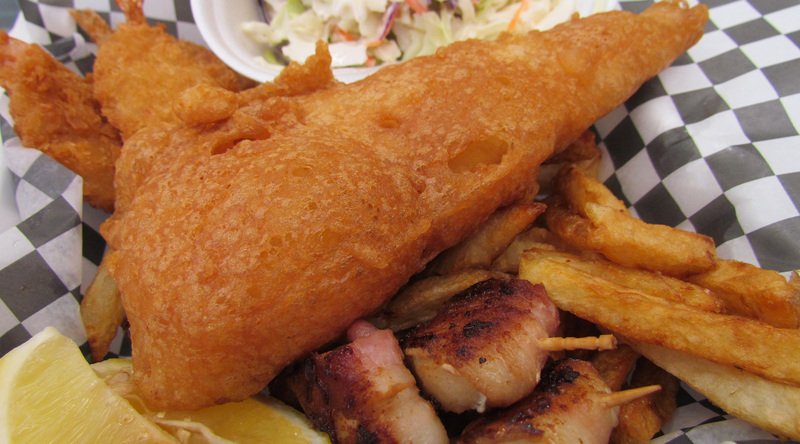 1 piece of East coast haddock, 3 breaded shrimp, 3 bacon-wrapped scallops, freshly hand-cut chips, coleslaw, and a can of pop. 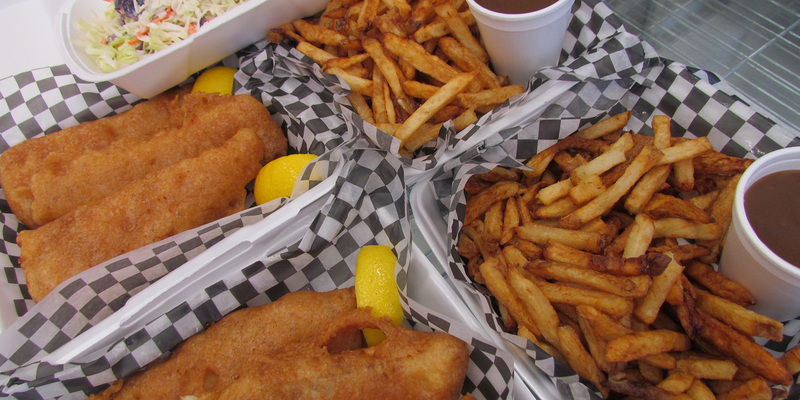 4 pieces of East coast haddock, a large order of freshly hand-cut chips and gravy, small coleslaw, and 2 cans of pop. 6 pieces of East coast haddock, 2 large orders of freshly hand-cut chips and gravy, large coleslaw, and 4 cans of pop. 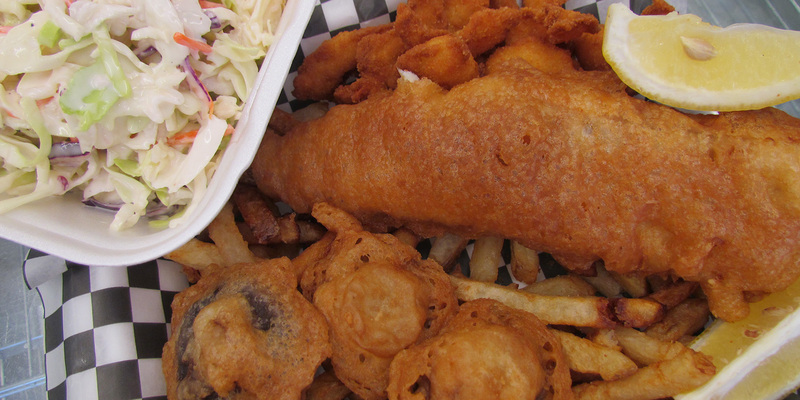 Want to know more about Fran’s Fish & Chips? All site content is intellectual property of Fran's Fish & Chips. Any copying of this website's content will result in immediate legal action.